American Brandt Snedeker has been announced as one of the first of many big names to appear in the Australian PGA Championship at the revamped RACV Royal Pines Resort on the Gold Coast. The World Number 30 has not played in Australia in eight years, although a scheduled appearance two years ago failed to materialise after an unfortunate Segway accident at the HSBC Champions in China the week before forced his withdrawal. The Tennessee native and 2012 FedEx Cup champion is keen to make amends and become just the second American, after Hale Irwin in 1978, to win the historic championship. “I’m excited to finally get to the Gold Coast in December, I have always enjoyed playing golf down under, it’s a pretty spot and the fans are always so welcoming,” said Snedeker. Snedeker has enjoyed a strong season on the PGA TOUR, recording his seventh win at the AT&T Pebble Beach National Pro-Am and a further five top-10 finishes. 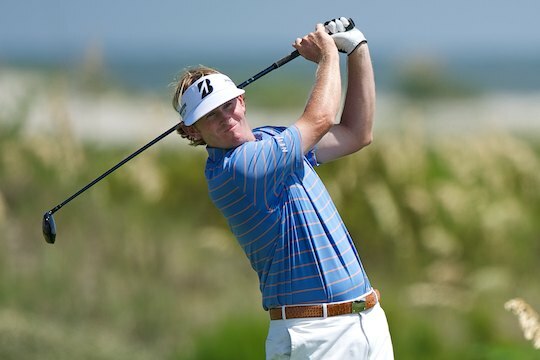 Snedeker was just four strokes from the winning score at the U.S. Open at Chambers Bay in finishing 8th and tied for 12th behind Jason Day at the PGA Championship at Whistling Straits. Brian Thorburn, CEO of the PGA of Australia, said Snedeker’s trip to the Gold Coast would be well received by fans and complement the strong European Tour field anticipated to make the trip. “Brandt was a hotly anticipated player by fans in 2013 and so we are pleased that now he is fit and healthy he is able to make the trip to compete in the Australian PGA Championship,” said Thorburn. The Australian PGA Championship is the richest tournament on the 2015 PGA Tour of Australasia’s schedule with a prize pool of $1.75m, but will also play host to a $1 Million prize hole – a feature not seen in Australian golf since the early 80s. On Sunday 6 December, those competing in the final round of the tournament will have the chance to win a million dollars by making a hole-in-one on the 16th, one of the remaining nine holes on the layout that have been renovated by Graham Marsh over the past eight months. “The million dollar hole is something we are incredibly excited to introduce and we believe that the addition of the opportunity for players to make a million dollars by hitting a hole-in-one on the Sunday of the tournament will also be a crowd favourite.” said Thorburn.